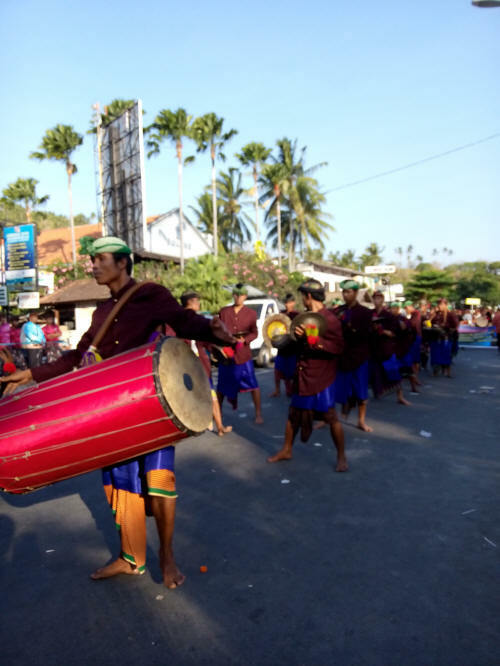 Gendang Beleq is one of the most popular traditional dance from Lombok. It is named so because each dancer plays a big beleq (drum). In the old times, this dance was performed to say good bye to the soldiers who went to battle fields, and also to welcome those soldiers when they returned. Nowadays this dance is performed to welcome important visitors. 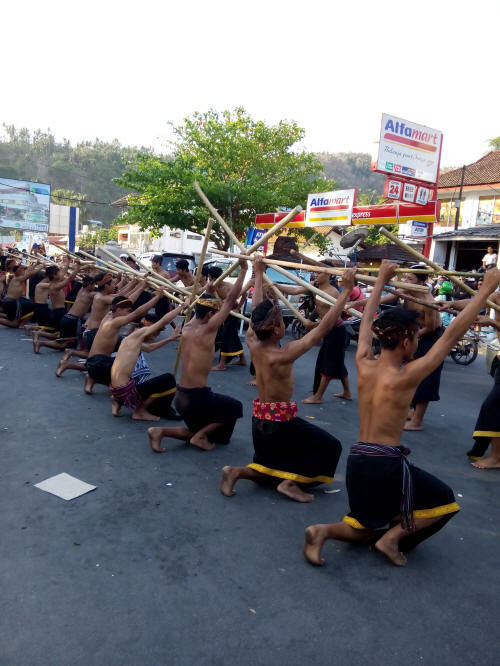 The performance of Gendang Beleq also combined with dance called Gandrung. The dance involves two huge drums to accompany it. 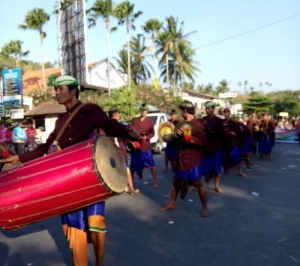 The word “Beleq” means huge and the other word “Gendang” stands for drum. The drums make loud noises, which in turn signify the essence that makes war. 4 or 6 Oceh/Oncer dancer also plays Copeh Instrument and 1 person plays Petuk. Additional instrument are Suling, Gong, Terumpang, Kenceng and Pencek. Total player in a group of this performance is around forty persons. 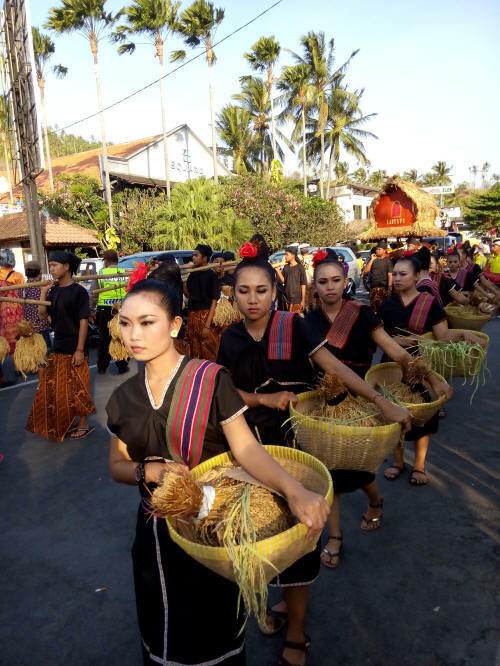 In the performance of Gendang Beleq have 3 parts and meaning of each part. First part danced by Oncer player, Gendang and Petuk. This part is representation of the soldier going for war. Second part danced by Petuk player with funny style, this dance just for entertain the audience. Third part danced by Oncer player, Gendang and Petuk, this part is representation of the war over. All the performers wear colorful dresses while dancing. 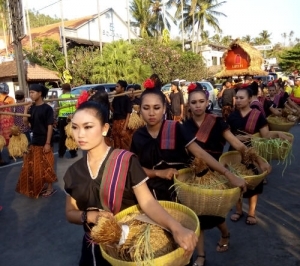 They wearing traditional customs such short pant and cloth, collared clothes, traditional belt called dodot and headband. 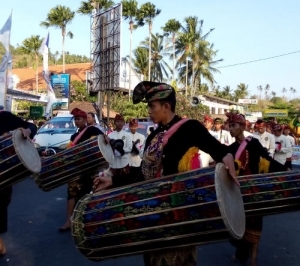 Now Gendang Beleq is a part of Indonesian culture festival to promote about Lombok. It is also become one of art education in school. 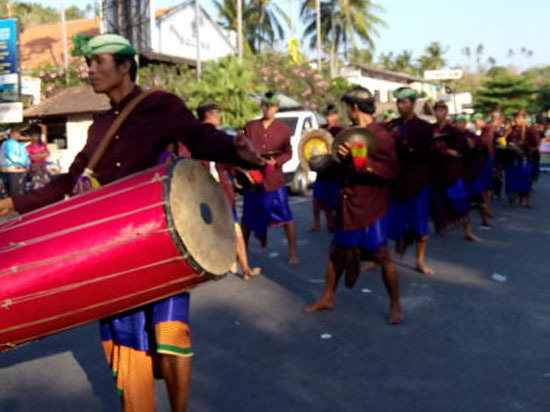 Most of Junior high school in Lombok has Gendang beleq group who can perform and plays as well as their senior. 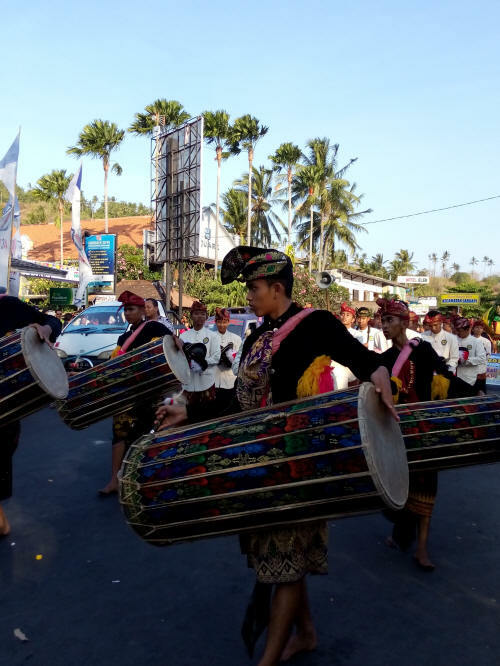 Gendang Beleq attracts music lovers of all people because it is not only to entertain the soldier but all people who see this would enjoy and like it.